He said the extradition case against Mr Al-Araibi was dropped by the Criminal Court on Monday afternoon. 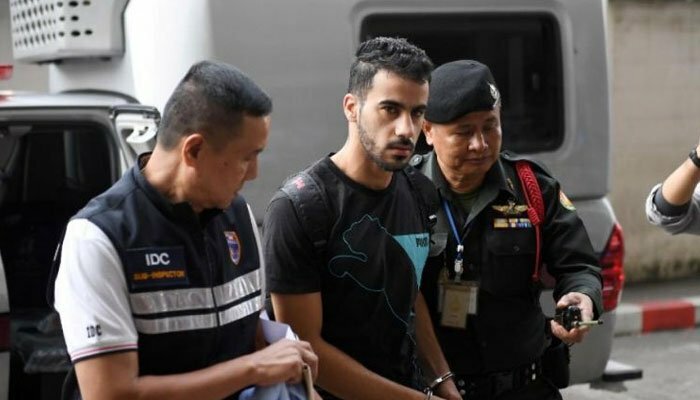 Refugee footballer Hakeem Al-Araibi in Bangkok. The player fled Bahrain in 2014 and now plays for semi-professional Melbourne-based club Pascoe Vale. He was detained upon his arrival in Bangkok in November while on a holiday at the request of Bahrain relayed through Interpol - from the global police body's Australian office. "We had a phone call from the Foreign Affairs Ministry this morning and they said Bahrain doesn't want him anymore", Chatchom told BBC. She said "a great deal" of work had gone on behind the scenes.